at a very young age Aaron knew he was destined to entertain. at just 20 years old he moved to los angeles. In 2011, Aaron co-created a show called "Palapalooza", a widely popular show in both the improv and stand-up comedy communities. 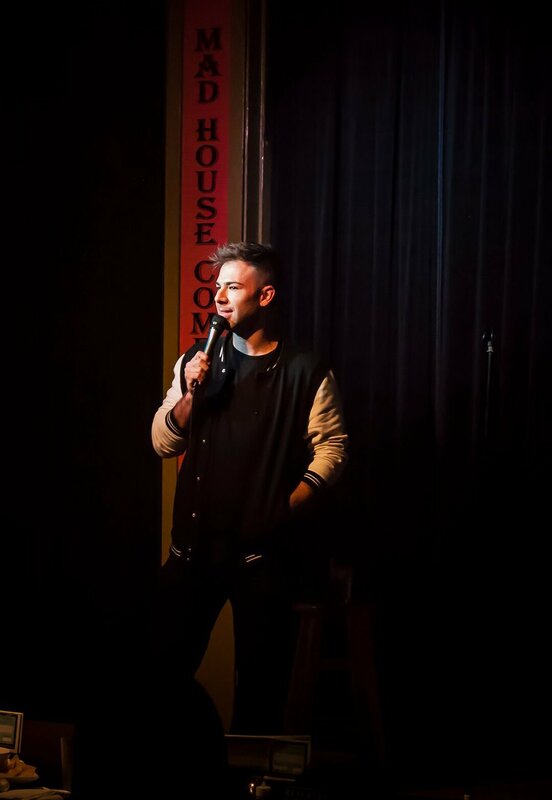 currently aaron hosts and produces a show on the first monday of every month in studio city called "comedy At The six", which features the very best comedians from netflix, comedy central, amazon, and hbo. aaron stays busy working the comedy scene in La and creating content for digital media companies. he was featured in the tv show "Fair Game" on The Audience Network and in the film "Counter Clockwise". For more information on future shows please check out his calendar or drop him a line in the contact section.